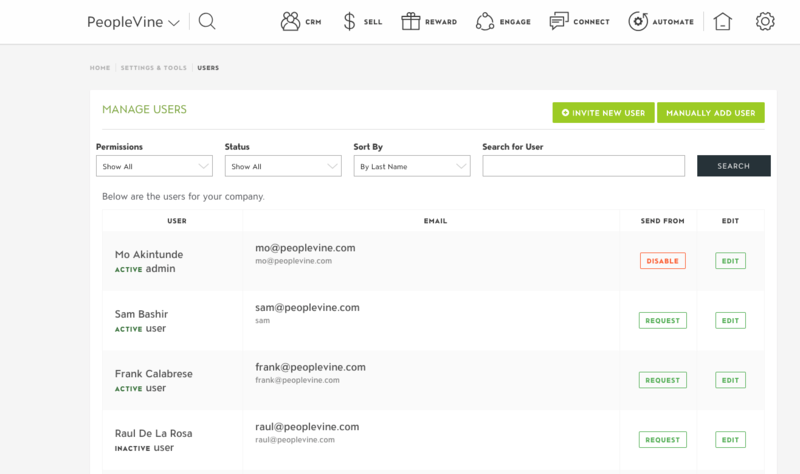 Once logged into PeopleVine, navigate to the control panel by click the cog icon on the right hand side. Select Manage Users under Settings and Tools. Here you can see the list of users in your account and their specific account information and permission level. 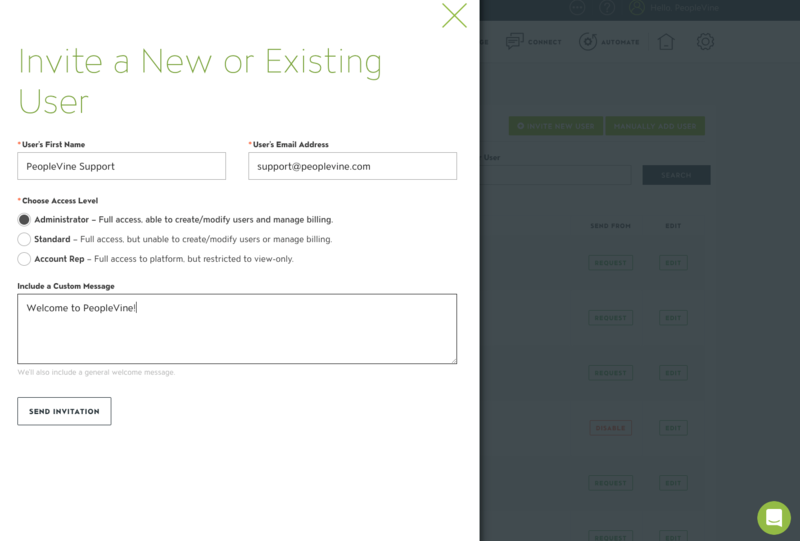 To invite a new user to the platform, simply click on Invite New User and the system will prompt you for their first name and e-mail address. 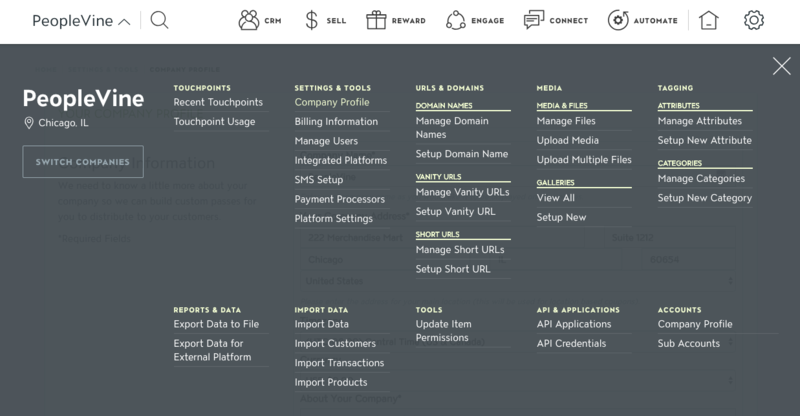 Users can be implemented based on the following user types. *Only Administrators are able to invite new users.